Recently, somebody asked me whether it is possible to audit the fact that someone has queried a piece of data in PeopleSoft. It led to an interesting piece of research. It is a fairly easy matter to configure Fine-Grained Auditing (FGA) in Oracle, you have to create a policy with the DBMS_FGA package. You can choose which columns to audit and a logical audit condition to determine whether the rows should be audited. This example will log users who query salary data from the JOB record in PeopleSoft. If the audit condition is matched for any rows in a query, and the query selects one of the audit columns, a single audit row is produced, irrespective of the number of rows that match. Be aware that if the audit condition raises an error for any inspected row (such as an error caused by coercion), the audited query will also fail. There will be nothing in the message to suggest that it is caused by FGA, and so it can be difficult to diagnose and debug. Oracle writes a file to the directory indicated by the AUDIT_FILE_DEST parameter. And this is the data the Oracle records in the table. It tells us is that a process, running as OS user David on node GO-FASTER-4, connected to the database as SYSADM and queried some audited data on table PS_JOB. But this node is the application server, and it will look the same for all access to PeopleSoft via the Application Server or any other program. We need to collect some more information from the session. If you use database triggers to audit updates in PeopleSoft, they obtain the PeopleSoft operator ID from the client information string that is set by a call to the DBMS_APPLICATION_INFO package at the start of every service in the application server. They extract the operator ID with a function called GET_PS_OPRID (delivered in getpsoprid.sql). You can’t put a trigger on the audit table (SYS.FGA_LOG$) because it is owned by SYS, but we could use the error handler to call a custom PL/SQL procedure. The handler module is fired every time an audit record is written. It is intended to permit a notification to be sent on audit to the DBA when a policy is breached. But we could use it for a different purpose. The handler runs in the same session as the process that performs the audited action. So I can collect information about the session and write it to another audit table that I have created. The SCNs do not match between these two audit records. There is a difference of at least 3, but the tables can be joined on SESSIONID and ENTRYID (so you will probably need an index on these columns). So, if I now when I open a component in PeopleSoft which queries somebody’s compensation rate, the FGA policy generates a record. Note that the data was queried from the database when the component was opened, and that is when the audit occurred. The operator would have to navigate to the ‘Compensation’ tab to see the data, so the audit does not absolutely prove the data was displayed to the operator, but I suspect that is only a semantic difference. The ability to audit is all very well, but it comes at a price. It is not difficult to generate a large number of audit rows. In the following PL/SQL block, an audit row is generated for each time the query inside the loop is executed (2050 times on my HR demo database). This can have a dramatic effect on performance. I ran the above PL/SQL on my laptop with SQL*Trace. FGA causes a huge increase in the response time of this test. Most of the additional time is spent inserting the audit rows, although the performance of the single disk in my laptop is probably magnifying the effect. I have demonstrated that it is possible to use FGA to monitor who is looking at what in PeopleSoft as well as detecting other forms of break-in. However, it can introduce a significant run-time overhead. The ability to incorporate a custom PL/SQL notification procedure suggests that it is designed with the intention of logging exceptional activities rather than routine one that users are permitted to perform. While FGA could be used to audit access to sensitive data, I think that row-level security should be setup correctly in PeopleSoft in the first place, so that only duly authorised users can access sensitive data. I suggest that FGA should only be used conservatively to monitor exceptional events. Unicode and the use of Long columns in PeopleSoft have been subjects that I have grumbled about in the past. However, Oracle now appear to have addressed them in PeopleTools 8.48. Unfortunately I cannot find any guiding documentation., and I stumbled across these changes by accident. However, if they work, they are both things that customers should know about. PeopleSoft deliver two scripts in the PT8.48 distribution in %PS_HOME%/scripts: upgradedboptions_enable.sql and upgradedboptions_disable.sql, but I cannot find any documentation. They set PSSTATUS.DATABASE_OPTIONS to 2 and 0 respectively. This one setting controls both features. I found the following in the platform advisory note: Operating System, RDBMS & Additional Component Patches Required for Installation on PT 8.48 under RDBMS Patches for 10g. Note. If it is your intention to create a Unicode DB for an application release 9 or later database, then the following init.ora parameter is mandatory. The PeopleSoft Unicode implementation for PT8.48 no longer triples the VARCHAR2 datatype columns. Instead we rely on an Oracle feature called CHARACTER LENGTH SEMANTICS. This parameter is not needed for non-unicode DB's or for pre-9 unicode application databases. However, this advice is not in the same note for PeopleTools 8.49. Tests have shown PeopleTools 8.48 no longer trebles the length of string coulmns if PSSTATUS.UNICODE_ENABLED = 1 and PSSTATUS.DATABASE_OPTIONS is set to 2 (I haven't tested 8.49 yet, but the installation guide now says that you now 'must' use Character Semantics for Unicode databases). 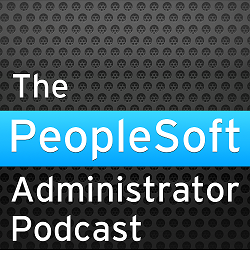 This change will be a huge improvement for PeopleSoft customers who need Unicode support. The length checking constraints can dramatically increase the overhead of parsing SQL in Oracle (I have seen as much as a 300% increase in parse time - see my Unicode Oddity presentation). If PSSTATUS.DATABASE_OPTIONS is set 2, columns that would normally be created as type LONG, are now created as CLOBs. Use of clobs has a number of advantanges. It is not possible to partition a table with a LONG, but it is permitted with a CLOB. It is possible to move data in CLOBs across database links (or at least first 32K). The settings in these fields on the table PSSTATUS control the generation by Application Designer and Data Mover of the column list [TBCOLLIST] in the create table DDL model.